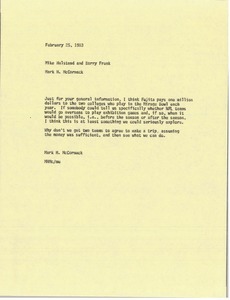 McCormack writes regarding the Mirage Bowl and National Football League teams playing exhibition games overseas. 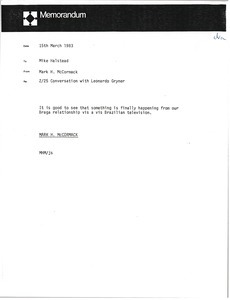 McCormack requests 1974 income projections for USSA and Rudd Pyles. 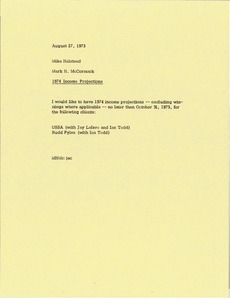 McCormack requests 1974 income projections for the USSA and Rudd Pyles. 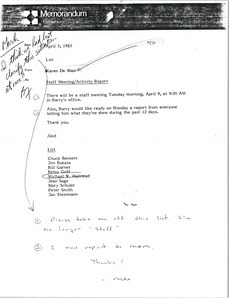 In hand written notes, Halstead requests to be taken off a correspondence list. 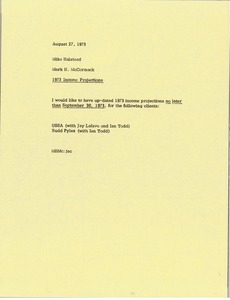 Another handwritten note to Mark H. McCormack from an unknown person states that they need to clarify the situation. McCormack writes regarding their relationship with Anotnio Carlos de Almeida Braga and Brazilian television. 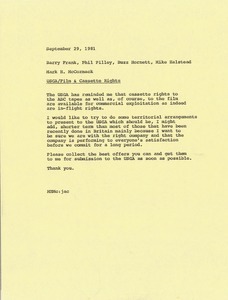 McCormack writes that the United States Golf Association has reminded him that the cassette rights to the American Broadcasting Company tapes, film and in-flight rights are available for commercial exploitation.